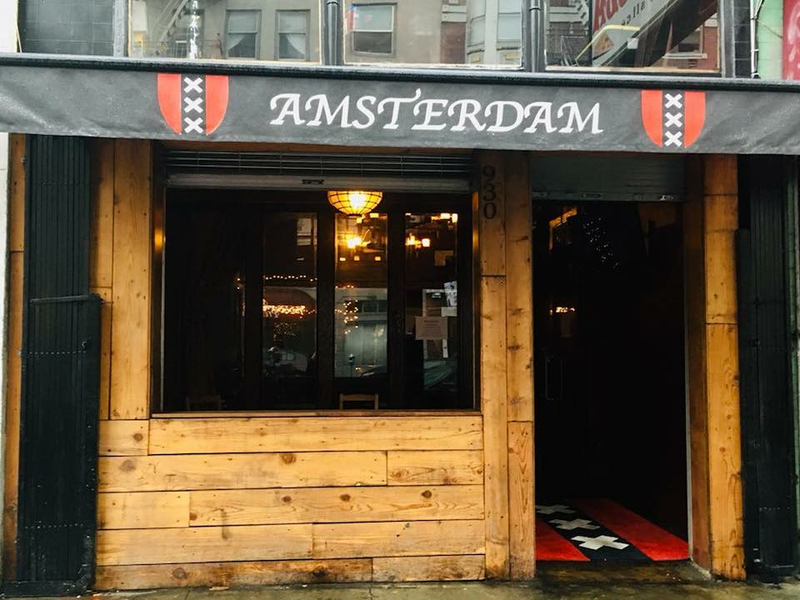 Geary Street's Amsterdam Cafe opened its doors yesterday for the first time in nearly three years, albeit at a new location directly across the street from its old digs. The craft beer bar on the edge of the Tenderloin and Polk Gulch, which had operated at the location for more than six and a half years, shuttered in February 2016 after facing a sizable rent hike. 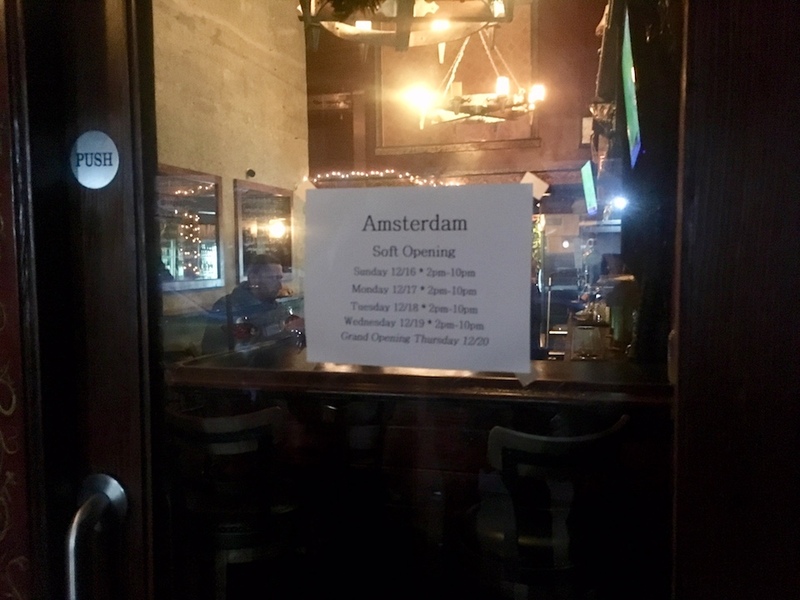 Bar manager Melissa Angel and her staff have been working with the Amsterdam Cafe owner for more than two years to to help rebuild in the new space at 930 Geary St. Its former spot at 937 Geary St. remains vacant. The bar's new home, which formerly housed Hoang Dat Coffee shop, has been renovated to include a long new bar and plenty of seating, as well as a large fridge showcasing its extensive selection of beers. 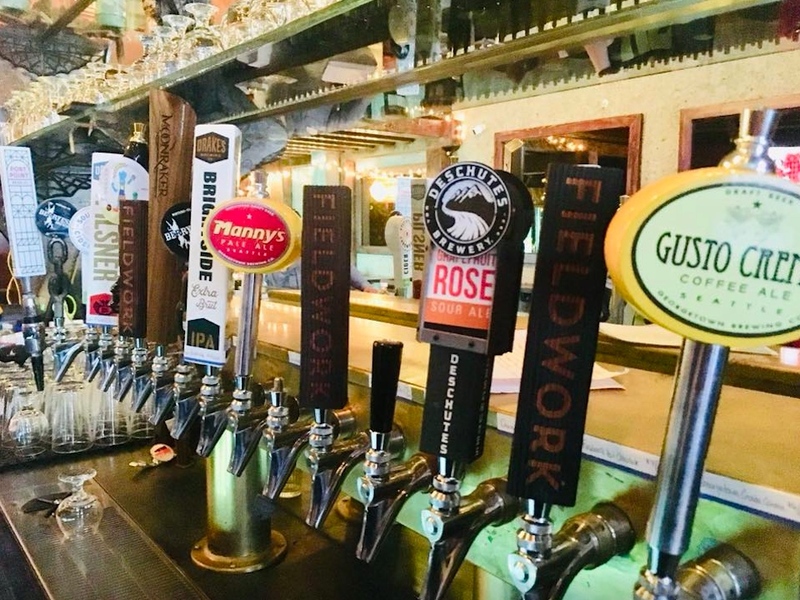 The soft opening draft list offers a wide selection from craft breweries, such as Moonraker's Jingle Crush'd New England Pale Ale, Georgetown Brewing's Lucille IPA, and Fieldwork's Hot Chocolate Stout. The draft beers are still listed across large mirrors on the wall, just like its former location. Bar bites and pizza may be joining the lineup as well, said Angel. The cafe is awaiting the necessary permits to serve food, and modifications in its upstairs kitchen still need to be completed. This week, the bar will be open from 2 p.m. to 10 p.m. during its soft opening, with a grand opening planned for Thursday, December 20. Thursday's celebration will be ugly sweater-themed, with the bar decorated to celebrate both its re-opening and the holidays, so, dress accordingly. After Thursday, the bar will be open 2 p.m.-10 p.m. Sunday-Wednesday, 2 p.m. until midnight on Thursdays, and from noon to midnight on Fridays and Saturdays.